New Jersey lawmakers took three big steps to make patients happy this week, with measures to lower Obamacare premiums and increase transparency for out-of-network costs. The latter bill has divided the healthcare community, concerning some physicians who say the bill's administrative burdens could drive doctors out of the state. The hospitals have endorsed the measure. On Obamacare, the Legislature's two-part plan to shore up the state health exchanges leverages an individual mandate penalty—the first to be passed by a state legislature—to fund a reinsurance pool. New Democratic Gov. Phil Murphy will need to sign it into law, but the state's General Assembly passed the two measures with comfortable margins Thursday. The bill aims to lower premiums next year for the roughly 275,000 people in the state exchanges. The less-publicized Out-of-network Consumer Protection, Transparency, Cost Containment and Accountability Act also passed after being on the docket for almost a decade. It faced continued controversy in the medical community. "This legislation will add to an already difficult practice environment for physicians," Christopher Gribbin, president of the Medical Society of New Jersey, wrote in comments about the bill. "If out-of-network physicians are unable to charge and collect market-based fees, New Jersey will suffer." 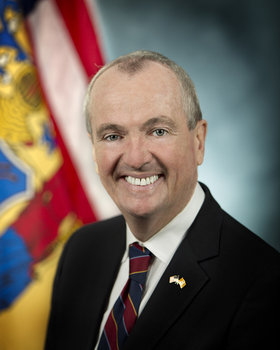 But Cathy Bennett, president and CEO of the New Jersey Hospital Association, urged Murphy to sign the bill. "The out-of-network bill … is eight years in the making, and in the end it addresses our two key priorities: protecting patients from surprise medical bills, and ensuring that hospitals and physicians are on a level playing field with insurance companies when it comes to negotiating fair payments for the care they deliver," Bennett said. This bill steps up requirements on providers. Among other mandates, providers would have to tell their patients before scheduling an appointment whether the provider is in or out of the person's insurance network, as well as disclose all the financial liability the patient is likely to have for the given procedure. The measure also puts robust reporting and transparency requirements on carriers. Gribbin praised some aspects of the disclosures but also decried the arbitration rules that insurers and providers will have to use to resolve disputes and the extra administrative complexity added to already-complex billing systems. "For too long, healthcare consumers have been surprised about the amount of insurance coverage their healthcare policy provides," he noted. "The disclosures required by insurers and healthcare providers will give consumers more information about their financial responsibility." However, he added, the group "continues to feel that baseball-style arbitration is inappropriate for settling healthcare payment disputes and advocates using the existing arbitration system." Ultimately, the new complications for payments will raise healthcare costs, Gribbin said. In 2015, New York enacted a law that protected patients from so called "balance billing." Instead of patients receiving bills, insurers and providers have to resolve the issue through a dispute resolution process. In its first year, data showed that insurers prevailed in disputes more often than providers in several hundred conflicts adjudicated by the state's independent entity. Of 291 disputes over bills for emergency services, the amount paid by health plans was deemed reasonable in 22% of those cases. Providers won 13%, according to preliminary data. A Kaiser Family Foundation study found that in 2011, New York state officials studied more than 2,000 complaints involving surprise medical bills, and found the average out-of-network emergency bill was $7,006. Insurers paid an average of $3,228 leaving consumers, on average, "to pay $3,778."